Set Includes: Pump, 2 buckets and 1 Milk Bucket Trolley + FREE Shipping! 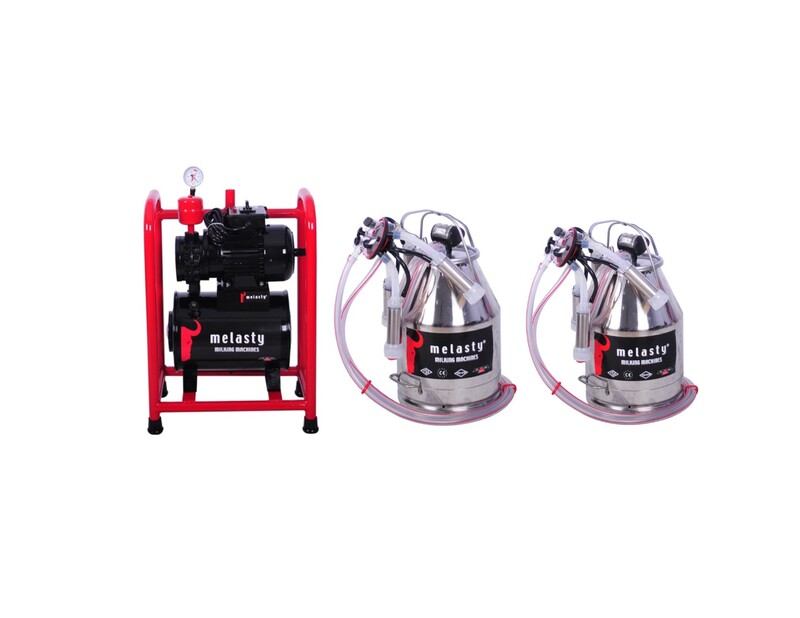 Melasty, electric fixed milking system for 2 cows time saving and friendly to use. Provides clean and better milk quality. Ideal for small and medium dairy farms. Milk 2 cows in 6 minutes. Melasty cow milker is a complete cost effective design system, that gives you the flexibility to build it according to the dimensions of your barn. We have put together everything that you need in one complete set. where you have the motor, vacuum pump, pulsator (2), claws (2), vacuum regulator, vacuum gauge, silicone liners (8), stainless steel shells (8), stainless steel bucket (2). Closed Cycle Hygienic cleaning system, it has automatic washing system which is very important for cleaning and keeping hygienic milking conditions. Ideal for small and medium dairy farmers. USA Customer support, all spare parts are sold thru Mitty Supply web site, ebay, amazon and we offer free shipping! Satisfaction guarantee: 30 Day money back guarantee. 2 Year manufacturer warranty. Includes milk bucket trolley to transport your fresh milk! Look at the video below to review which parts you will need in order to build it as well as which parts are included in the set and which parts you can buy at your hardware convenient store. Melasty buckets keeps the milk enclosed and safe from external contamination providing clean and better milk production. 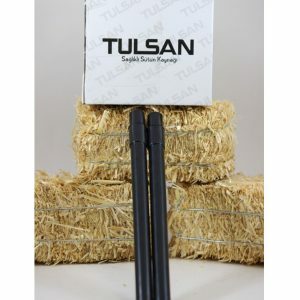 Watch the video below to see how easy is to install it in your barn! CANNON COOLER STAINLESS STEEL. 6 CANS FIT IN ONE TUBE!